Preparing your content calendar for 2018? Here are three super important stats to ponder while reading this article. First is that YouTube shared that mobile video consumption grows by over 100% every year. Second is that 45% of internet users watching an hour or more of video each day. Third, we are living in a world where 65% of the population claims to be visual learners, according to the Social Science Research Network. If you’re already doing video content, great! If not, here is a good place to start. Most companies producing video content currently share around 20 videos per month, and it’s expected that video content will match the volume of email, written and graphic design content equally in 2018. Wifi is available pretty much everywhere and network speeds faster than ever, so videos are easy to stream. You will no longer cancel loading out of frustration due to a lag in time. Expect 2 videos for each piece of written content in the future. If you’re planning to produce video content, that would be great too. Because they provide a multi-sensory experience, videos trigger emotions stronger than text or an image is able to do. By integrating components such as the appropriate music, personal testimonies and curated text, viewers can relate on an intense emotional level triggering emotions like happiness, sadness and even anger. For product marketing, demonstration videos increase product knowledge, in turn increasing the likeliness of a sale. Showing a product in action is visually informative and helps the consumer imagine themselves using it. Not to mention, they learn every great detail about your product! Marketers have always believed that video content was great for SEO. However, there was never data to back it up. We now know that videos keep users on the page longer. To Google, this means the site is attractive to users, which is great news for SEO. Adding video is definitely a great way to help you in the search rankings. But how much is too much? Social Media Today shared that videos up to 2 minutes long receive the highest engagement. 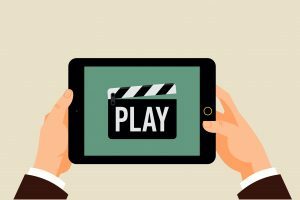 Additionally, 65% of people who open a video for 3 seconds will watch for as least 10 seconds. 45% of people will watch for at least 30 seconds. Experts believe that budgets for this content creation will become much larger now with proven SEO benefits. Producing quality video content is not a far-fetched task. Companies have invested in or outsourced full production including top-of-the-line cameras and tech in the past. It’s worth noting that 85% of Facebook videos are watched without sound, when sound was traditionally the measure of quality. Now, the focus is more on creating authentic content that is relevant and relatable to your audience. Studies show that millennials prefer content that is relatable and find it more entertaining. Videos uploaded to YouTube, Facebook and Instagram match their interests through short videos. Most of these videos are no longer than 60 seconds. They are produced by young users and are recorded on their personal cameras or smartphones. Popular users receive hundreds of thousands of views per video. Businesses can take this same approach or pay these individuals to create content to use themselves. Businesses can also sponsor a video post to the page of an “influencer” to reach their respective, potentially massive audience size. If you want to come up with your own content, there are tremendous new services like Slidely that allow you to create high-quality videos for cheap, on a subscription basis. YouTube is a great home base for publishing, but every social media platform provides great opportunities to share video content. Check in with our social media series regularly for tips on sharing videos across the different platforms. 85% of businesses now have internal teams producing exclusive video content for their brand. 73% plan to increase their production of it. A quarter of marketers and small business owners feel they need to up their video content marketing efforts. Needless to say that content planning focus will shift to the learning and creation of video throughout 2018.